Making changes can be hard, but you don't have to struggle and do it on your own! 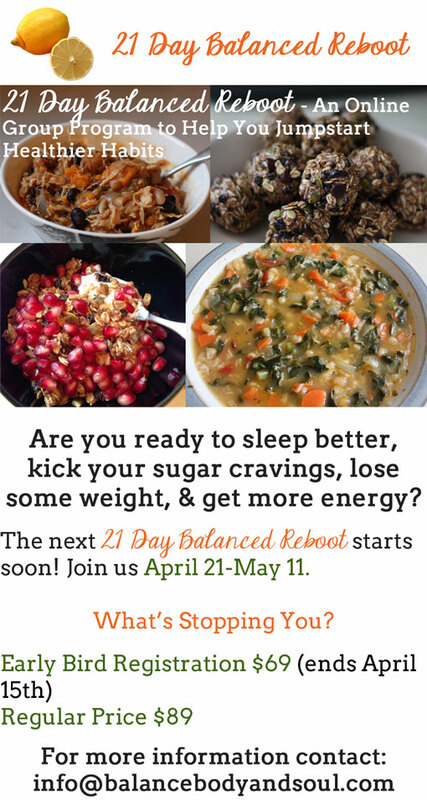 If you're ready to sleep better, lose some weight, kick your sugar cravings, and boost your energy then join us for the next 21 Day Balanced Reboot! You'll get 3 weeks of meal plans, recipes and shopping lists as well as the support of an online group to keep you motivated and feeling supported. You'll find more program details here, or you can contact me to register!